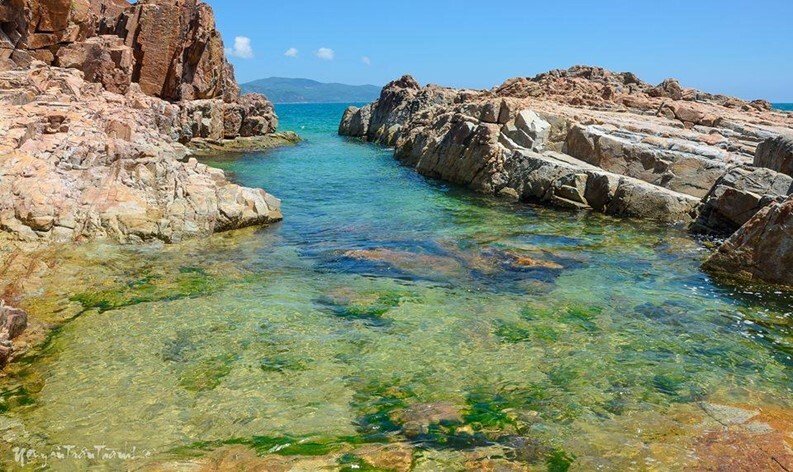 Few people have heard of Song Cau in the Phu Yen province in eastern Vietnam but that’s far from the same as saying the area has nothing to offer. 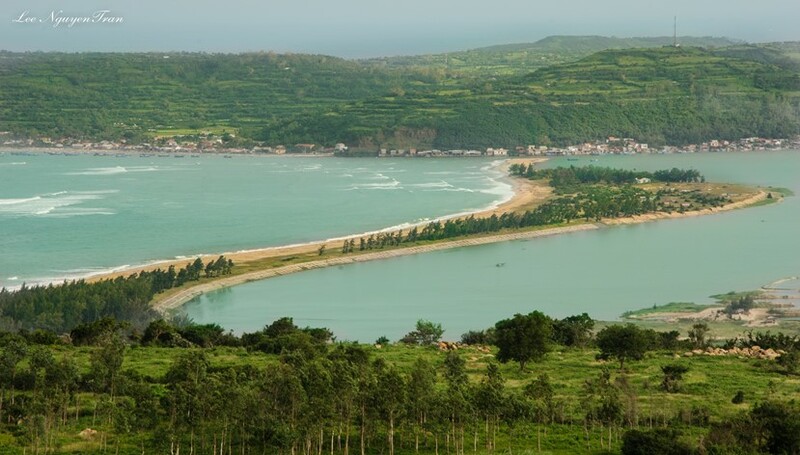 Xuan Dai Bay with its gorgeous sceneries is a must visit. 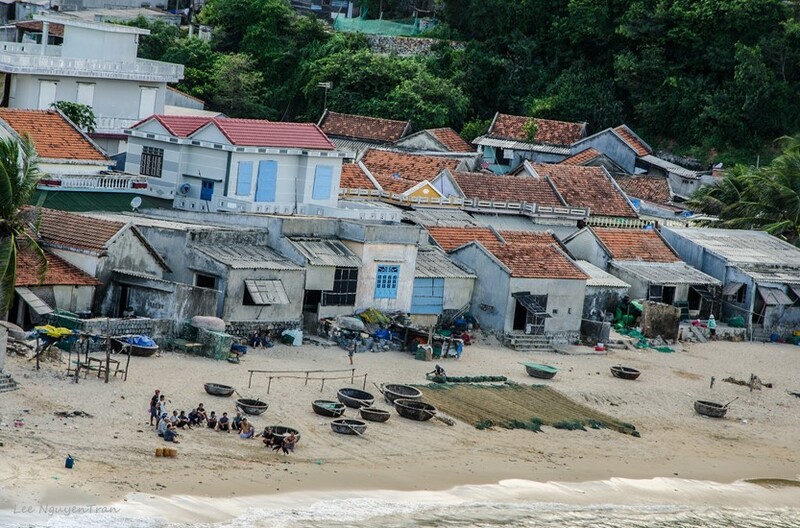 In the bay, there is a small fishing village called Ganh Đo or “Red Reef”, known for fishing and famous for its fish sauce. In fact, so well-known that the locals are able to lead a comfortable life in an otherwise poor province. However, Ganh Do is so much more than fishing and fish sauce. The landscape and scenery is outstanding and unlike anything you’ve seen before – unless you’ve been to paradise that is. How did Red Reef get its name? If you’re wondering how Red Reef got its name it’s due to the many reddish – brown reefs scattered around the area. Aside from it’s unique beauty and quaint atmosphere, another appealing feature is the Red Reef beach. It has very smooth sand and mild waves, it’s flat, clean, and with shallow waters; even at 50 meters from the beach, the water is only waist deep. In the morning, the life in Red Reef is tranquil and gentle. The fishermen, out catching squids, paddle slowly along the shore. Early risers are out and about in the relaxing environment, breathing the fresh air and swimming in the cool water. 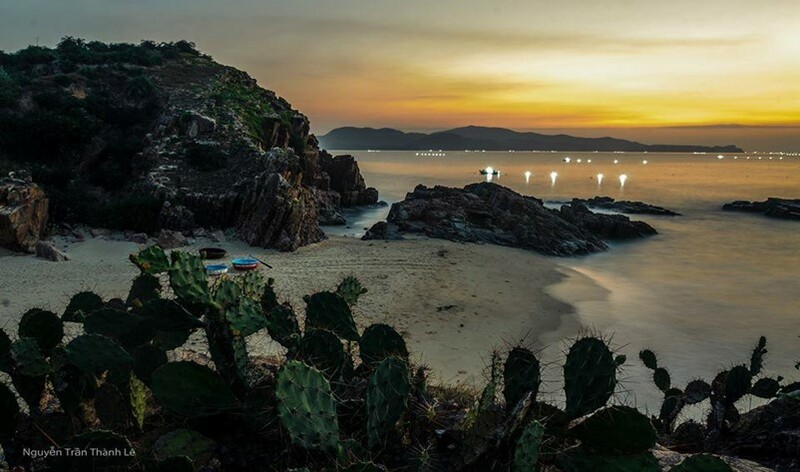 Red reef is an accommodating destination for those who’d like to explore Vietnamese life far away from the tourist circuits. The local fishermen are very kind and friendly here – far beyond what you’d expect. It’s so rare that foreign tourists come to visit their place that being invited in for food and accommodation without even asking for it, is highly likely. They have no other reason than wanting to talk to you and because of their extraordinary hospitality. If you’re not already packing your bags to go see this gem, this should convince you. Red Reef has a special terrain. 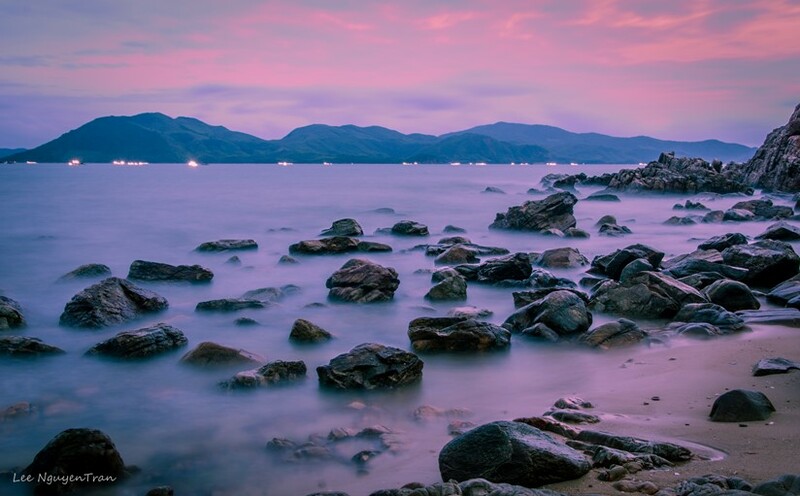 Not only does it have the before mentioned dream of a beach but mountains and rice fields can be found in the area as well so there are landscapes to please anyone. It’s not often you have so much beauty and variety packed into one place. When you have the chance, set foot on these lands. You will instantly feel the rustic charm of both the landscape and the people here. Looks like a true paradise. Looking at the wonderful photos I am tempted to express the same feelings as an Englishman did commenting on Denmark in the fifties: “For God’s sake, please keep it a secrete. Don’t tell anyone what a wonderful place it is”. Since then came tourism, cheap transports, modern civilization and (almost) destroyed it all. Well, I admit that I would like to go to Xuan Dai Bay myself, put up my little tent on the shore (I am sure they would still allow that) and enjoy the sea, the colors, the sounds from the sea undisturbed by computers, I-phones and roaring machines in the neighborhood. And in the evenings – after a swim – I would fill up my stomach with a tasty and substantial local fish soup. What kind of drink goes with the soup there? Nice to know that so-called modern civilization has not yet fully conquered and destroyed the world.